Up to this point, the development process with HoloLens would be to make a series of changes, then build, compile, and deploy. After all of that, you could test it on the HoloLens and determine if your changes worked or not. This process can easily take up to 5 minutes from hitting the build button to launching your application. To fix this problem, Unity has introduced Holographic Emulation. 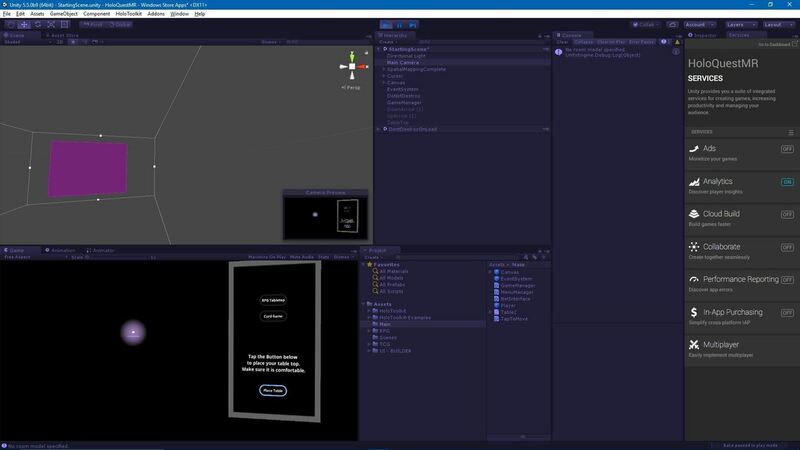 This new tool allows the developer to make changes to their application, and instead of going through that time-consuming compilation process, the user can make a few choices in the Holographic Emulation window and test their application inside of Unity simply by hitting the play button. Using a game controller such as a wireless Xbox one, the user can then move the viewport around like the camera is their viewpoint, and use the triggers as air-tap simulations. 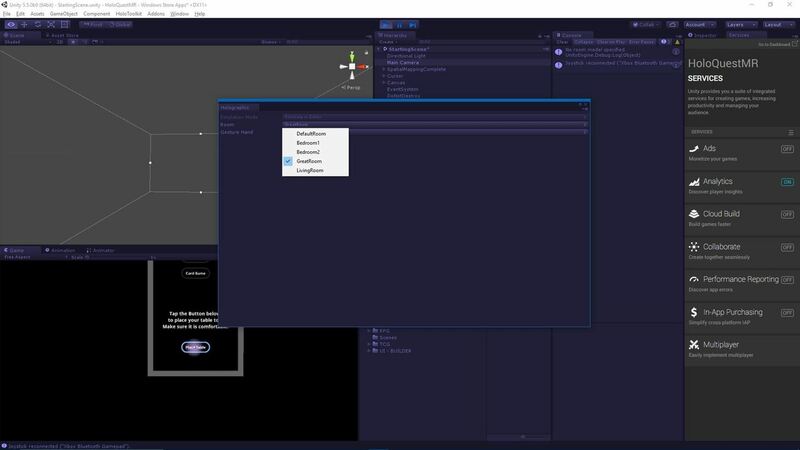 You can pull up this new tool by going to the Window option on the main menu and selecting Holographic Emulation. When you do so, you should see a window labeled "Holographic." Select the "Simulate in Editor" option. In the Emulation Mode dropdown, select "Simulate in Editor," and a few new options will appear. The Holographic Emulation process allows the user to choose from preselected demonstration rooms such as a Bedroom or a GreatRoom. These rooms are then used to create an emulated version of the spatial mapping or spatial understanding that the HoloLens is so well known for. Again, this is designed to allow the user to test and change without going through the whole build process. Once you have selected your room, you can then choose which hand the game controller uses to air tap, left or right. Now test your project and use a controller to move and air tap. As a developer that has likely gone through the "build, deploy, compile, test" process thousands of times, I am jumping up and down with joy to learn of this new feature. I can only image the hours of iteration time that would have been saved for me had this been out just 3 months ago. 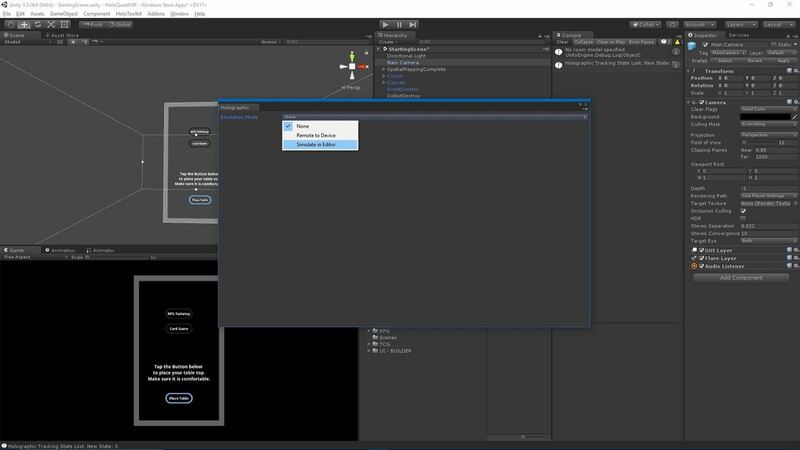 I can only hope that Unity and Microsoft continue to innovate on the already great tools that have been made to speed up the development process. Don't Miss: Why Is Most HoloLens Development Happening in Unity?